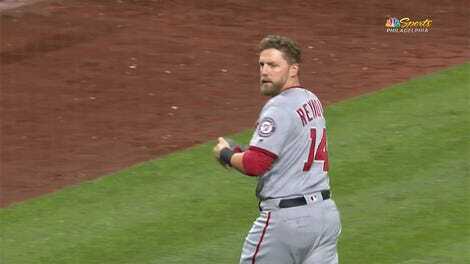 A strange thing happened in the eighth inning of Saturday night’s Cubs-Phillies game. 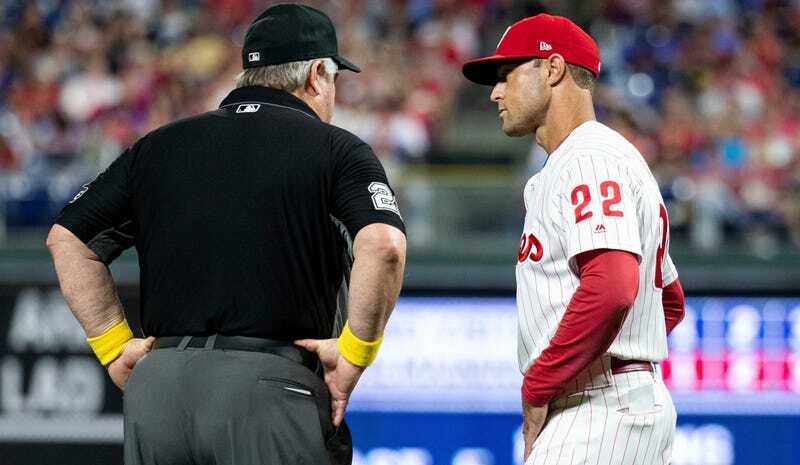 Veteran umpire Joe West, working third base, noticed Phillies reliever Austin Davis pull a notecard out of his back pocket before pitching to Addison Russell, and decided he needed to know more, and brought the game to a halt. It turns out Davis’s notecard was, in fact, just that—a card onto which some notes had been scribbled about the batters he was scheduled to face in the inning. All the Phillies fielders have these, detailing defensive positioning for opposing batters. According to cosmic-brain Phillies manager Gabe Kapler (who, incidentally, deserves a ton of credit for how the Phillies have played this season, even if they appear to be fading somewhat down the stretch), Davis is using the notes on the card “as a reference how to attack the hitters,” which could only be considered cheating if scouting an opponent and having a detailed plan of attack is cheating. This is obviously very silly. Antonin Scalia would be very proud, were he not in hell.